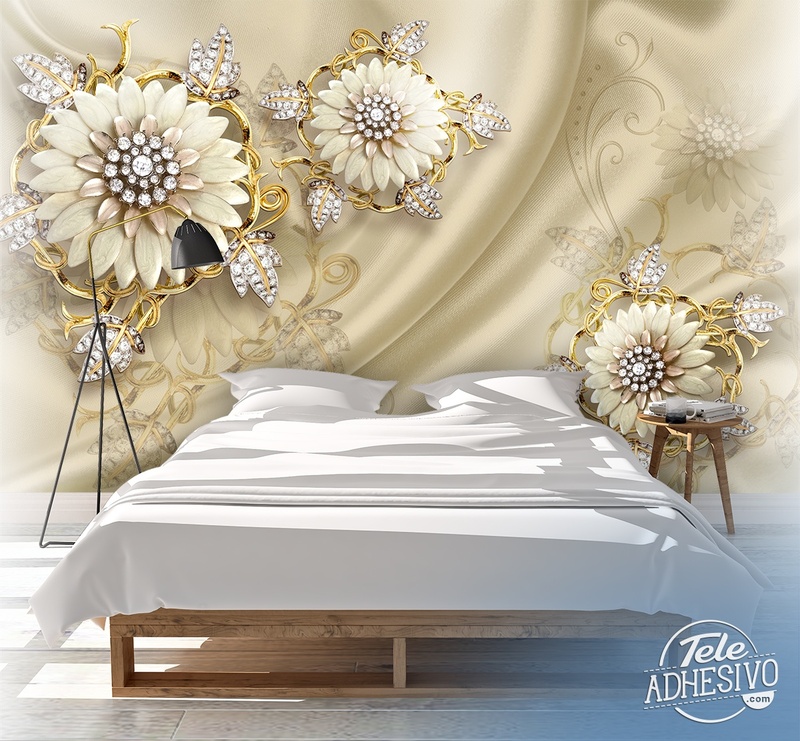 Wall mural Diamond flowers. 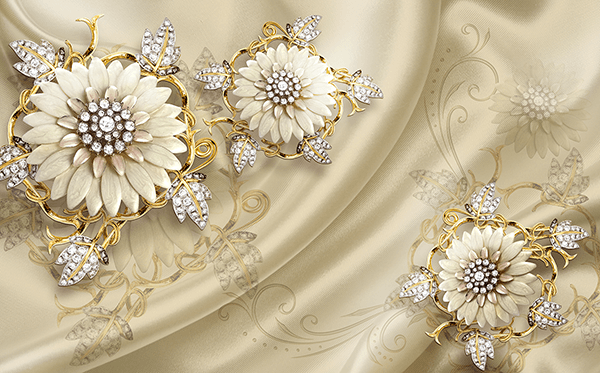 Elegant composition of flower-shaped jewels on ochre silks with prints of those jewels and ornaments. Since ancient times it has been very common to make decorative objects and jewellery in the shape of natural elements, even using diamonds. Size: 37 x 24 cm.